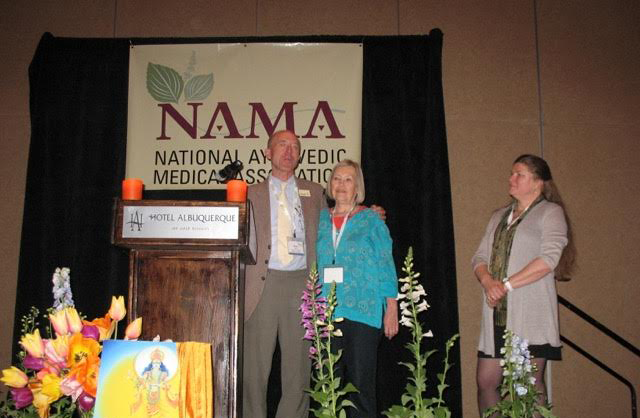 Bring Ayurveda to the West! These words were Cynthia Copple’s instruction from her teacher, Professor Dr. R. P. Trivedi, in 1982. Today she is recognized as a pioneer and the longest continually practicing American-trained Ayurvedic Practitioner in the US. When Cynthia first encountered Ayurvedic medicine and Yogic philosophy, she was a Vietnam War reporter and photographer travelling the world, with absolutely no interest in medicine, eastern or western. On a break between assignments she was convinced by a friend to attend an Ayurveda class. Shortly afterwards to her surprise, she began her formal study with Dr. Trivedi, a world-renowned master, who convinced her that her mission was indeed to bring Ayurveda to the west! 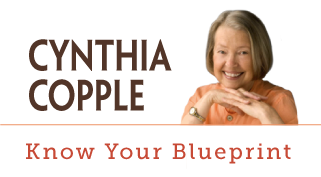 Today Cynthia Copple is a nationally recognized Ayurvedic Master. 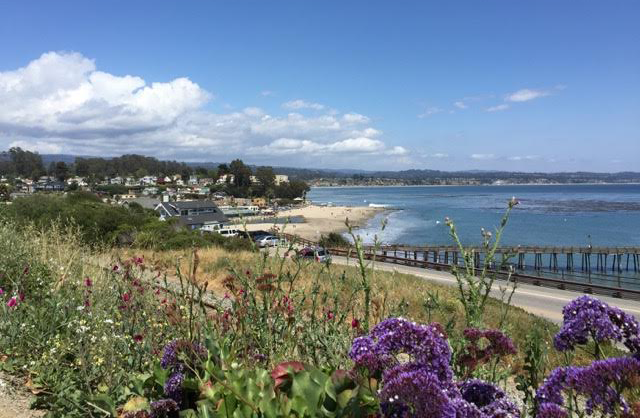 As Director of the Lotus Health Institute in Santa Cruz, California for 30 years, she has helped thousands regain their health and rediscover their passion for life. As co-founder of the National Ayurveda Medical Association and the Mount Madonna College of Ayurveda, she has trained many Ayurvedic practitioners. 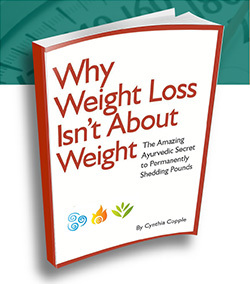 In the early days, people said, “Ayur-what?” when Cynthia began to share the power of the 5,000 year old holistic health science called Ayurveda. When she gave clients recommendations to change their diet or lifestyle, they sometimes refused outright, not believing that their lifestyle could be linked to their ill health. Instead, they wanted a pill, medicine, or treatment that would cure them. But Ayurveda teaches there is no magic pill. Eliminating the cause of disease, which is often in the client’s lifestyle choices, is the only real cure. A new wave of medical doctors and researchers are now confirming what Cynthia has been teaching for over three decades: that Health and well being are the result of the dynamic relationship of lifestyle, genetic inheritances, and mindfulness. Lifestyle Medicine, as it has been termed, is today’s major trend in mainstream healthcare and its principles are rooted in the Ayurvedic teachings made popular by Cynthia’s pioneering work. Are you ready to release the 20, 50, or 100 pounds you're sick and tired of carrying around?